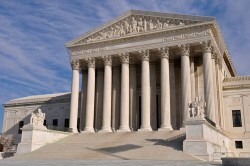 For many in the public, it may be a surprise to see so many courts relying on realtime court reporting for legal proceedings. While other industries may lean more toward electronic recordings and other transcription alternatives, the nuances of law require the presence of a professional stenographer to ensure that every aspect of a particular deposition or trial is captured correctly. In a recent post for Capitol Court Reporting, Joseph Coupal looked into why court reporters have retained their importance in today's industry. The main factor that he cited was the "human element" that comes with the inclusion of a certified court reporter in legal proceedings. As opposed to a recording device, a court reporter can interact with the rest of the courtroom, much to the benefit of the trial or deposition as a whole. 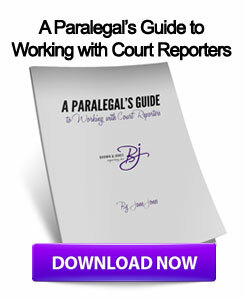 "The human element that is present in every court case or deposition makes court reporters such an essential part of the legal process," Coupal wrote. "There are usually several or more times within a court case or hearing where the court reporter may be called upon to answer to the court." The post then looked into the impact of an accurate transcription, even when the reporter is long gone. When a court reporter completes a transcript and submits the finished product to the legal system, it becomes an official document that can be used as evidence in the future. Because of this, it is vital for all future cases that transcripts include the perspective of a live person that witnessed the trial and truly grasped the proceedings. Whether it's in a deposition or trial setting, local legal professionals know that a Milwaukee court reporter is the best solution to get a quality court transcript. This entry was posted on Wednesday, March 27th, 2013 at 6:15 am	and is filed under All Posts, Court Reporting News. You can follow any responses to this entry through the RSS 2.0 feed. You can skip to the end and leave a response. Pinging is currently not allowed.